The above video was produced by our friends at The PHILO Project, which creates high quality professional videos for small Philadelphia nonprofits, free of charge! We hope you'll join us in supporting their mission. Please visit www.philoproject.org. 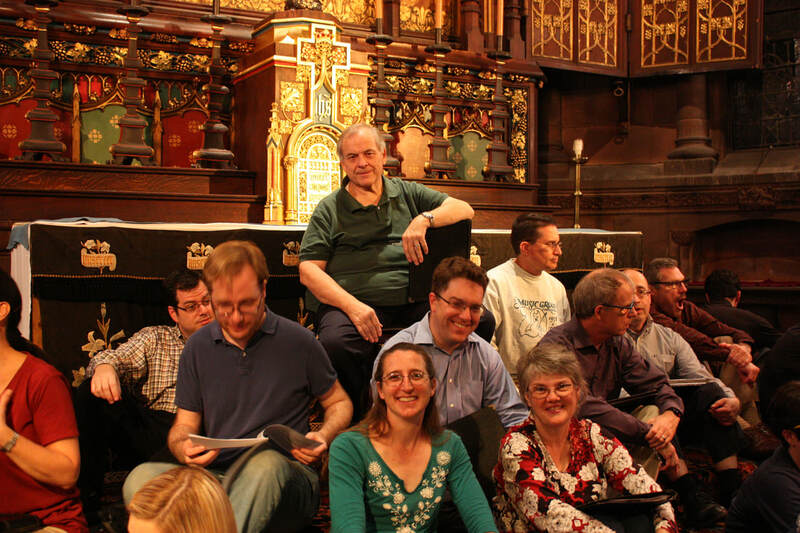 Choral Arts Philadelphia is an ensemble of professional and avocational musicians. Inspired by the works of J.S. Bach, we present historically informed performances, explore new music, and engage the community in innovative ways. Making music since 1982, Choral Arts Philadelphia actively participates in the region’s musical community by celebrating the talents of our local professional and amateur musicians. 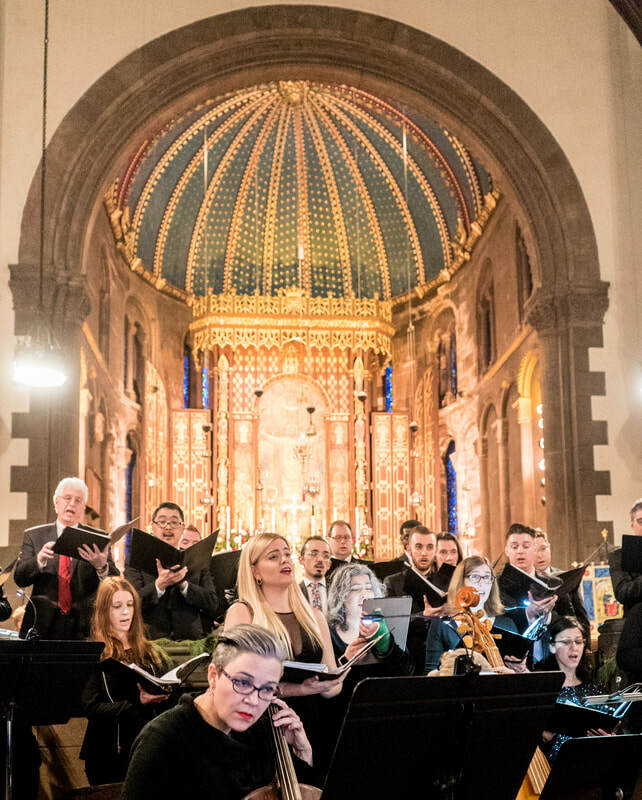 As Philadelphia’s premier chamber chorus, Choral Arts Philadelphia presents concert experiences that delight and engage the community as well as contribute to their appreciation of the repertoire. 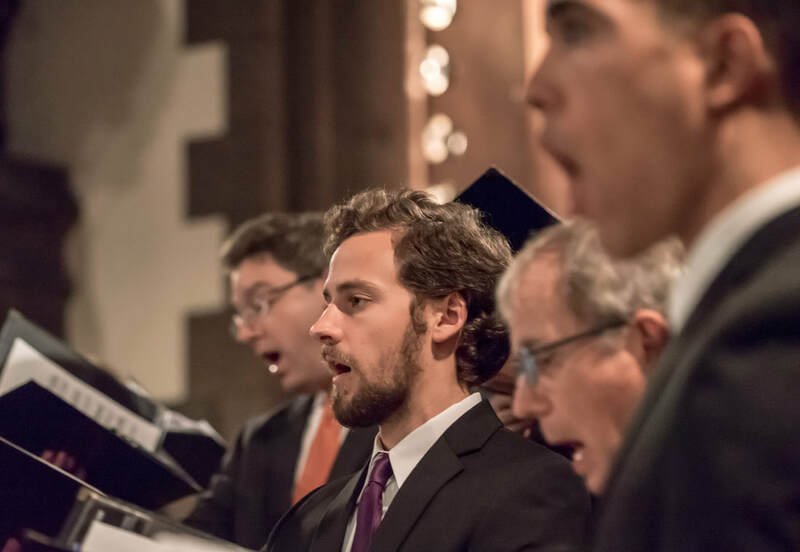 Choral Arts Philadelphia is committed to musical excellence, historically informed performance practices, and furthering the great tradition of choral music. Under the tenure of its first artistic director, Sean Deibler, the chorus (formerly Choral Arts Society of Philadelphia) regularly partnered with the Philadelphia Orchestra in concert and on recordings. Since then, Choral Arts has built a significant reputation and artistic presence in Philadelphia as a symphonic choir, and has maintained a particularly strong commitment to exploring areas of the choral repertoire outside of the central canon. Deibler’s successor, Donald Nally, added greatly to the chorus’s local and national successes that culminated in receiving the Margaret Hillis Award for Choral Excellence from Chorus America and Philadelphia Magazine’s Best of Philly Award during its 20th anniversary season. In our distinguished 35 year history, the choir has performed over 300 works by more than 100 composers. In 2004, Matthew Glandorf was appointed the new artistic director, and the ensemble started building its reputation as a premier early music ensemble. Changing our name to Choral Arts Philadelphia in 2009, signaled a new direction as the ensemble has been transformed into a chamber size choir to achieve greater vocal flexibility to perform both the early and modern music repertoire. 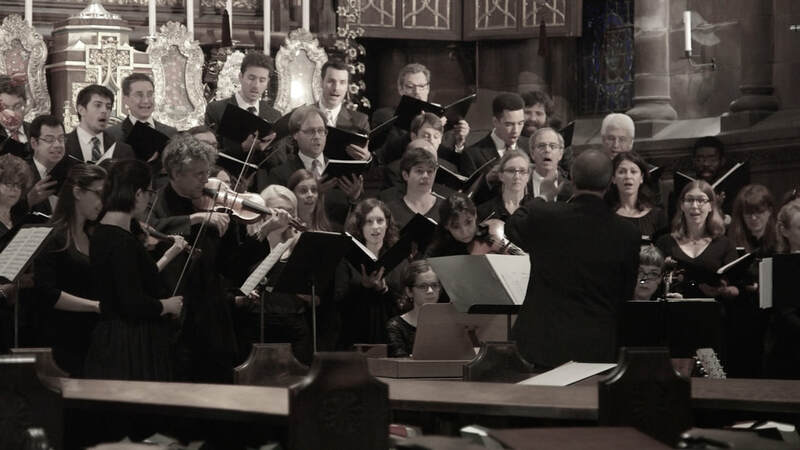 Since 2013, Choral Arts Philadelphia, in collaboration with The Philadelphia Bach Collegium, a resident chamber ensemble of The Bach Festival of Philadelphia, has presented Bach At Seven Series (aka Bach@7), a mid-week 1-hour-long programs. Most recently, we have commissioned and premiered choral works by such acclaimed composers as David Ludwig, Kile Smith, Mark Rimple, Riho Maimets, Melissa Dunphy, Daniel Shapiro, Anthony Mosakowski, Andrew Lipke, and David Carpenter. We produced two recordings: "Handel Messiah" (in collaboration with Tempesta di Mare) and "Choral Music of David Ludwig". In 2016-2017, with major support from the Pew Center for Arts & Heritage, Choral Arts presented an unprecedented project "1734-1735: A Season in the Life of J.S. Bach" which featured a cycle of 18 season-related cantatas of J.S. Bach sung weekly in nine consecutive programs. On New Year's Eve of 2014, Choral Arts performed, as an "experiment," J.S. Bach's Christmas Oratorio, a complete setting of six cantatas rarely heard live in one concert. The resounding success of that performance led to the repeat concert on New Year's Eve'16. Thus, the new annual tradition was born. The New Year's Eve 2017 featured Monteverdi Vespers, and December 2018 will offer J.S. Bach Magnificat and G.F. Handel Coronation Anthems.